I am completely and totally unashamed of my urgent, frequent need for chocolate. It’s chock full of antioxidants, feel good endorphins, and it comes from a bean, which is a plant, so it must be healthy right? [insert laughter here]. Ok, except for the sugar, and the butter, and the preservatives… after trying out any number of chocolate paleo recipes, I came up with my own super-fast version. Because anything I do with 6 kids around has to be super-fast! There’s only 1 downside to this incredibly delicious chocolate recipe – it has to be kept in the freezer or fridge or it will turn to mush. Which, in my opinion, is not really a downside because I prefer my chocolate frozen anyway! 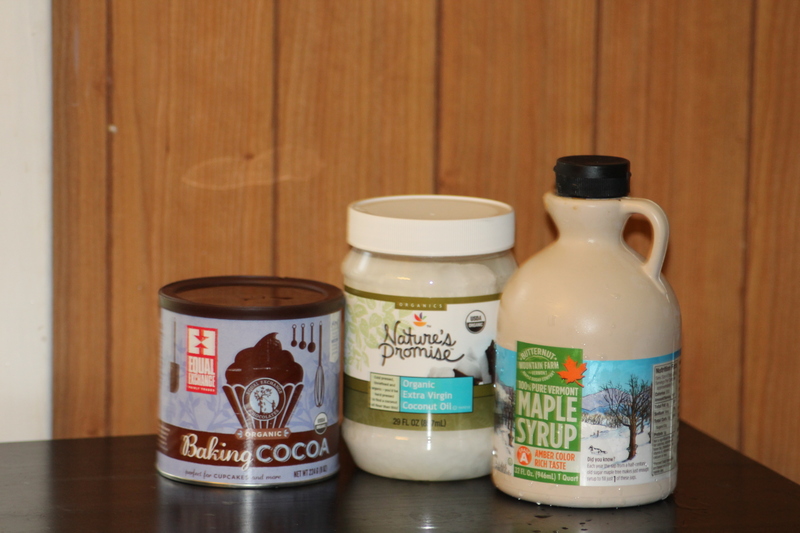 There are so many ways you can use this chocolate: eat it right out of the freezer (my favorite), add it to coffee, muffins, cookies, melt it and drizzle over a banana…. you get the idea. The best part is that it’s main ingredient is coconut oil, when of my favorite super-foods for its healthy, satiating qualities. 1. 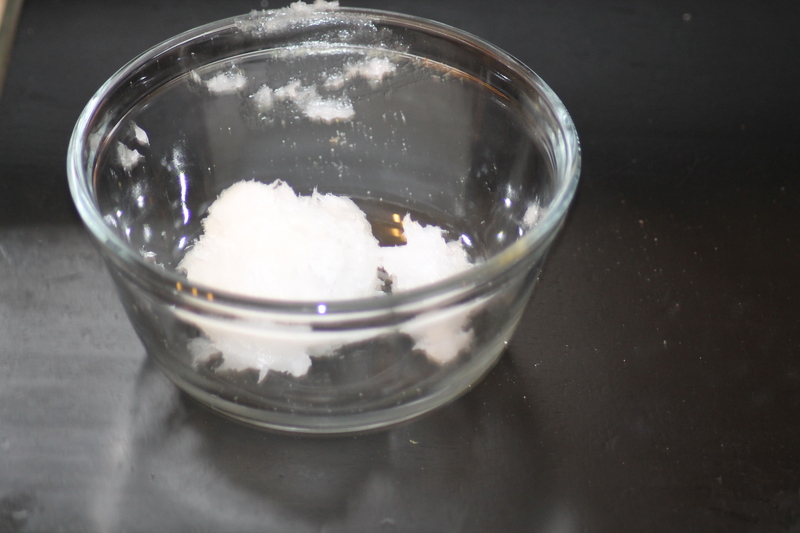 Melt your coconut oil completely in a glass dish in the microwave for 1 minute or over low heat in a small pot. 2. 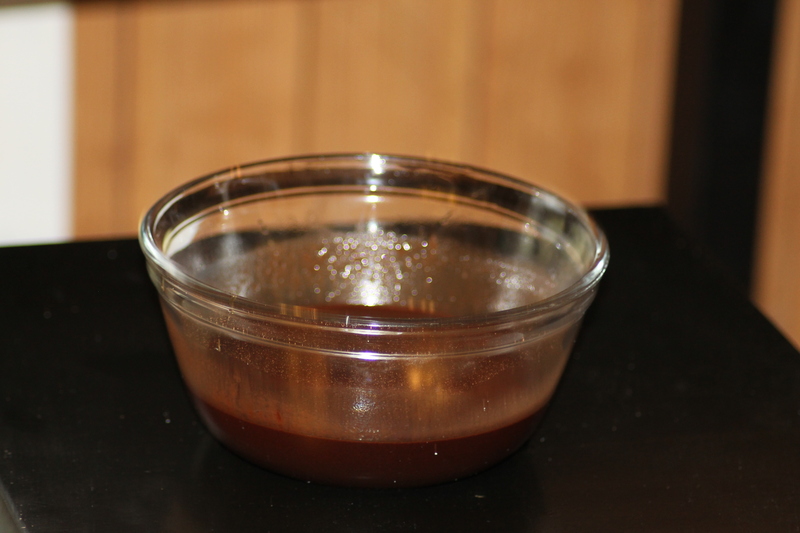 Stir in cocoa and honey. Keep stirring until smooth. 3. 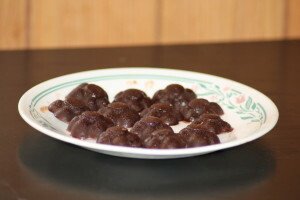 Pour into prepared candy molds OR line a small dish with raised sides with wax paper (make sure the paper goes up and over the sides) and pour your chocolate into the dish. 4. 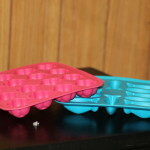 Freeze for about 20 minutes for small candy molds, thicker molds may take longer. It’s super simple and fast. 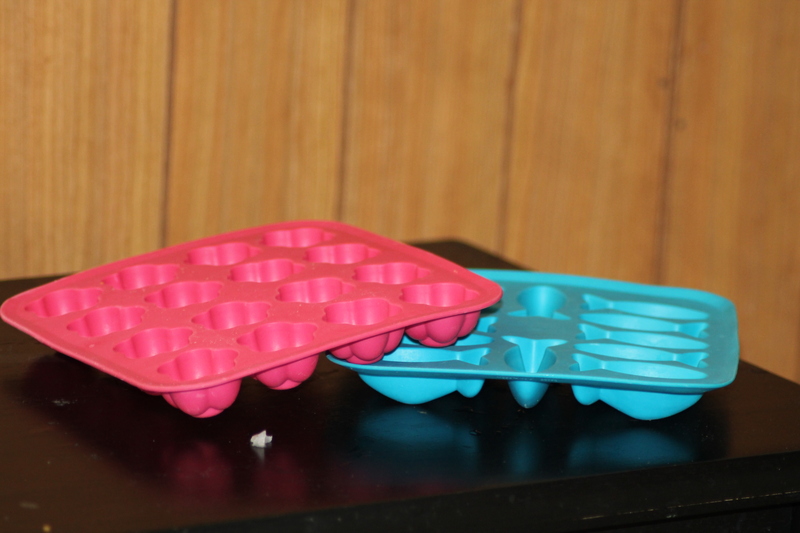 Instead of candy molds, I use silicone ice cube trays from Ikea and spray them with organic olive oil spray. 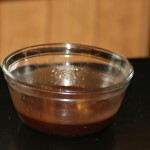 And since I ran out of honey yesterday,I substituted 4 tablespoons of maple syrup. If you want to get fancy, place a dollop of almond butter in the middle of your chocolate molds. 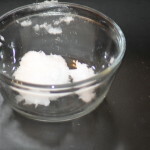 You could also stir in a tablespoon of vanilla, some chopped nuts, or fresh fruit. You can use the same recipe to make frozen protein bars – just substitute some of the cocoa for your favorite protein powder for an energy boost. Amanda is a toddler-chasing, coffee drinking, fashion boot-wearing, Fit-bit addicted, Jesus-loving, wife and mom to 6 small children. She spends her free time absorbed in fashion and tattoos, watching Pirates of the Caribbean, Googling, attempting clean eating, all while spreading autism awareness, encouraging adoption and foster care, championing the underdog, and of course, juicing. Amanda loves serving as pastor of Streams of Grace Church, blogging, and teaching piano lessons . She holds a Master of Divinity from Liberty Baptist Theological Seminary, a Bachelor of Arts in Church Music from Eastern University, and a cosmetology license from Metro Beauty Academy. Her favorite places to be are the local zoo, the church piano bench, Facebook, and anywhere her family is.